After reading the thread about what awards used to be like, I was hoping to get your feedback on this "Governor's Ten" award that had been forgotten in Wisconsin and now I have brought it back. I would like your feedback to find out if you shooters would find value in really nice certificates like this instead of medals, plaques, or trophies? Consider the source, I am highly unlikely to be earning any awards and that could 'color' my perception. I think that nice certificates (like that pictured) would be a valid award. They could be framed and displayed OR they could be kept in a file for those not having enough room to display all their trophies (and you would not need to dust them). Great idea and a nice piece of paper for your wall. I would have no problem at all with that. When I moved from Phoenix to God's country here in Wisconsin my office walls were filled with those, just have not gotten around to put them up again. If your point is about getting your governor's signature, that's not the point, and we aren't going to make this post go down that political rabbit hole. Just a point that the President's Hundred aren't signed by the President of the US, but I still want to earn a P100 certificate. This post is more a question of the shooters opinions of paper awards--not just for Govs10/P100, but for match and class winners also. I received the Governor's 10 award that you sent. Thank you. My wife thought it impressive and will frame it for my loading room wall. 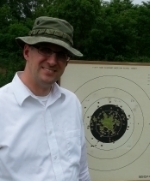 I collected a fair amount of bling during my rifle career. I'm finding it comes a lot slower with the pistol. This is appreciated! 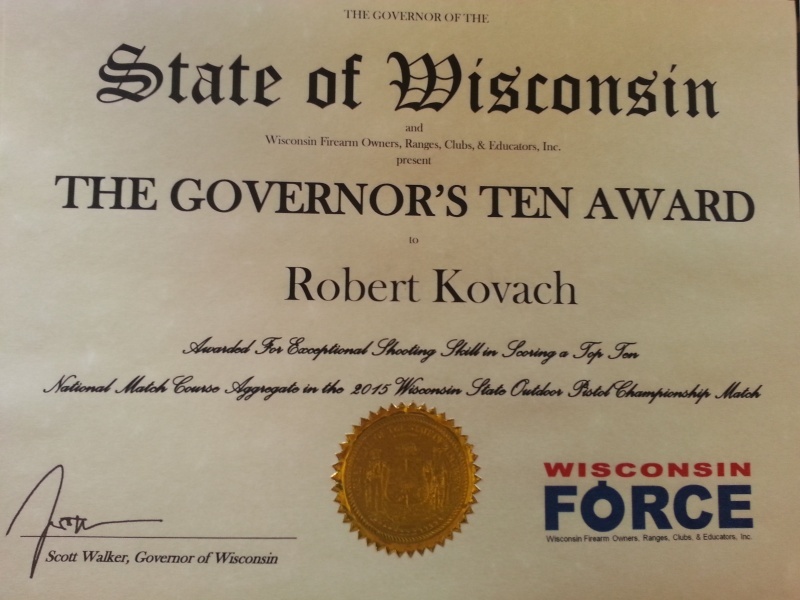 Rob Kovach wrote: After reading the thread about what awards used to be like, I was hoping to get your feedback on this "Governor's Ten" award that had been forgotten in Wisconsin and now I have brought it back. Good job! I think the times that I made the Governor's 10 in Texas and Indiana, I only once got a small pin. In NC for Rifle, we do a tab. I've got a couple. The tab is presented with a medal that's got the State seal with Governor's Ten around it. I like them a lot. That certificate looks nice too. Anything that gets folks out competing is a great idea.